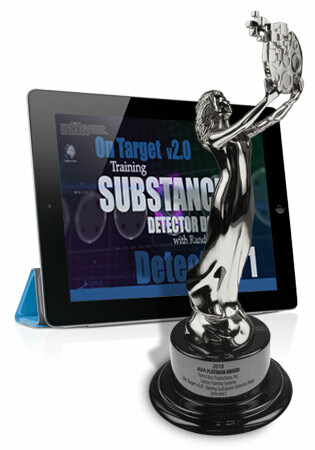 Canine Training Systems Wins a 2018 Ava Digital Awards Platinum Award for On Target v2.0- Training Substance Detector Dogs with Randy Hare- Detection 1! As the second title in our new, updated series with Randy Hare nears completion, On Target v2.0- Training Substance Detector Dogs with Randy Hare- Detection 1 has won it's FIRST International Award! We've received tremendous feedback and reviews for this product. Any dog, any breed, any age, any substance. Randy Hare’s Substance Detection Dog System is now more popular than ever. With an evolving seminar demographic, Randy is now seeing a new generation of trainer and handler emerge. His system has likewise evolved and because it is an open, changing system, is applicable to a wider range of substances, including those for civilian detection sports such as Nose Work. Because both the equipment and technique has evolved, a new series of videos is available to showcase the updates, innovations and steps forward for those who wish to remain on the cutting-edge of detection training. This new title is incredibly popular and of the same quality Canine Training Systems is known for! We're pleased with our 2018 Ava Digital Awards Platinum Award- the highest honor awarded! The Ava Awards recognizes outstanding work by creative professionals involved in the concept, writing, direction, shooting, and editing of audio-visual materials and programs. Entrants include video and film production companies, web developers, advertising agencies, PR firms, corporate and government communications departments, producers, directors, editors and shooters. Judges are industry professionals who look for companies and individuals whose talent exceeds a high standard of excellence and whose work serves as a benchmark for the industry. There were 2500 entries from throughout the United States and 17 other countries in the 2018 AVA Digital Awards Competition. The AVA Digital Awards is administered and judged by the Association of Marketing and Communication Professionals (AMCP), one of the oldest, largest, and most respected evaluators of creative work in the marketing and communication industry. Founded in 1994, AMCP has judged more than 200,000 entries and given away over $250,000 to charitable endeavors. As part of its mission, AMCP supports the altruistic efforts of its entrants by not charging entry fees for work done pro bono. To learn more about our 49 International Production Awards, please visit our awards page. We announced some time ago that we were moving to streaming media and video on-demand to greatly increase our production output and that while all previous releases would still be available on DVD, no new titles would be released on outdated formats. There are mulitiple reasons for moving to streaming media and Podium View™ On-Demand has been a tremendous success. Customers from all over the world are taking advantage of the benefits of immediate delivery of our content, chapter navigation and our anytime, anywhere philosophy. We now have over 70 of our products available for Lifetime Purchase and will continue to populate Podium View™ with our complete library. We're still receiving inquiries about two recent titles, Nose Work 2: The Indication and Concepts in Reinforcement: Training with Food and whether they will ever be released on DVD. In addition to streaming being an obstacle for some customers for multiple reasons, others stated they wanted DVD's to round out their set. The reasons for streaming were and still are clear which forced our decision initially. This ongoing inquiry prompted our survey to get direct feedback and see what the concensus was. We appreciate the feedback! We've decided to offer these two titles on DVD to those who are interested in pre-purchasing them with a few caveats in mind. First, we'll accept pre-orders until the DVD's are authored (coded) and ready to send to the replicator (we'll announce this date as it's available, likely in about 2 weeks or so). Second, if the pre-order volume doesn't hit the threshold of interest we've been told there is, we'll refund the pre-orders and remain streaming only. We're leaving it completely up to you to decide. It's in your hands based on your interest and order volume. Both videos are fully completed and have been available for some time so what remains is strictly the production of DVD's. We anticipate 4-6 weeks conservatively to have product in-house to ship. We've created a specific category for these titles and are offering them in multiple configurations; single discs and a variety of combinations depending on what you may have already purchased. If you have questions, please contact us. You can pre-order individual titles and bundled sets here. The StudioDaily 50 is populated by executives and producers who make great work happen; directors, cinematographers and editors who push the creative envelope; and scientists, engineers, inventors and other innovators who keep pushing the state of the creative arts. With this crowd, most of them spend their professional lives crossing boundaries on a daily basis. 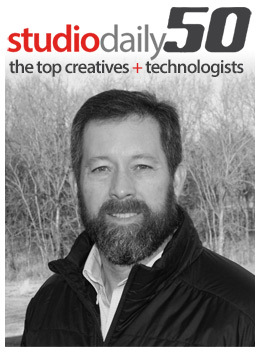 Adding to an already long list of production industry awards, Doug Calhoun, the innovative producer, cinematographer and editor at Canine Training Systems (Forest Run Productions) is gaining his own notoriety and has been named to StudioDaily’s esteemed Top 50 list. The inaugural list was compiled by the leading and award-winning news source for creative digital media, StudioDaily, with a focus on innovation in the production of movies, TV shows, commercials and music videos. “I enjoy all aspects of the process. Editing makes for a better videographer and understanding the information and concepts you need to convey allows the information to be crafted in a variety of ways.” Having gained a footing in production with firms like Gates Corporation, Digital Lava, American Airlines, IonCleanse, RecoverFast, The Outdoor Channel and Kiwanis Club International among many others, Calhoun has filled the shelves with production awards. To learn more about the StudioDaily 50, visit their website. As the second title in our Nose Work series nears completion, Training Through Pictures with Dave Kroyer- Nose Work 1- The Indication has won it's FIFTH International Award! We've both seen and received tremendous accolades for this product. Any dog, any breed, any age, any substance. This title is ideal for sport detection dogs in Nose Work and professional applications like police K9 (narcotics and explosives), border patrol and specialized detection like medical alert and biologicals. In addition to being an award winner, this title, by it's very methodology, circumvents problems created in other methods because of it's logical, linear approach to training. As a backchaining method, each step in the process builds upon the previous so any error in training is incredibly easy to identify and correct. As an immediate byproduct, this title has become the go-to repair manual for "certified" trainers in other methodologies. 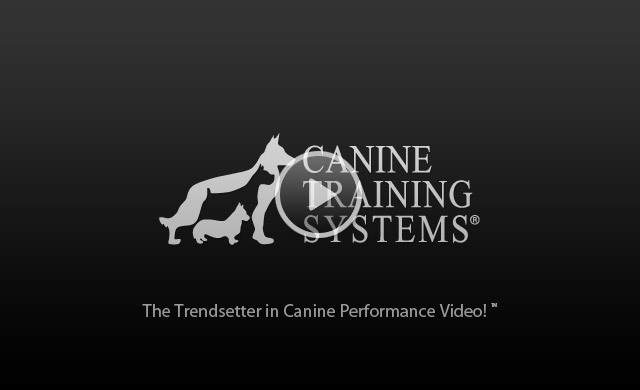 This new title is incredibly popular and of the same quality Canine Training Systems is known for! We're pleased with our fifth International Award, a 2015 Telly Bronze Award! Founded in 1979, the Telly Awards is firmly among the premier awards honoring outstanding local, regional, and cable TV commercials and programs, as well as the finest video and film productions, web commercials, videos and films. The Telly Awards annually showcases the best work of the most respected advertising agencies, production companies, television stations, cable operators, and corporate video departments in the world. The Telly Awards is a widely known and highly respected national and international competition and receives over 12,000 entries annually from all 50 states and 5 continents. “The Telly Awards has a mission to honor the very best in film and video,” said Linda Day, Executive Director of the Telly Awards. 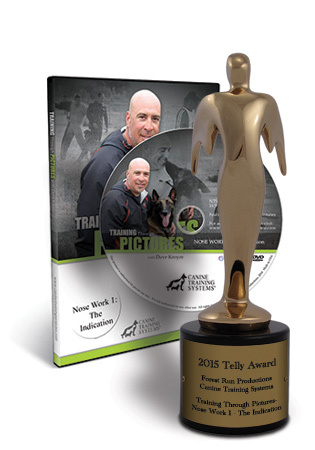 “Canine Training Systems’ accomplishment illustrates their creativity, skill, and dedication to their craft and serves as a testament to great film and video production.” You can learn more about the Telly Awards here. To learn more about our 45 International Production Awards, please visit our awards page. There is an intangible with dogs that draws us to keeping, training and loving them. From the perspecitve of the dog, the other side of the relationship becomes evident- it's a two way street. This short film from Felt Soul Media is absolutely awesome. We love their work and follow them on Vimeo. Enjoy, but grab a tissue. We read about this problem a LOT on social media. It seems to be a very pervasive problem in older training methodologies. 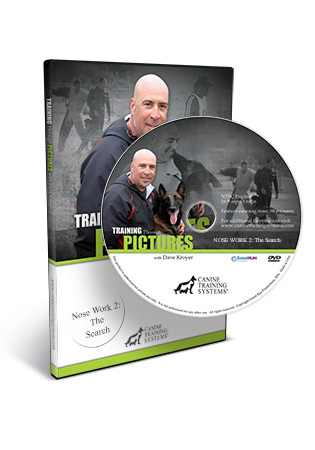 The 4X International Award Winning Training Through Pictures with Dave Kroyer- Nose Work 1 - The Indication circumvents these issues but some people still run into issues with specific dogs. Q: When doing nosework (the indication) training, my dog is extremely excited and if I don't click and reward immediately when he sticks his nose into the hole in the box he starts hitting the box with his paws, putting his nose on other parts of the box and biting it. He never puts his nose in softly. He always pushes his nose in so if the hole is big enough he will even push his whole head in the box. How do I teach him to be more calm and patient? Dogs that have extensive work with prey items become easily stimulated when frustrated and the emotions of active play become present when the dog is faced with a problem that is unclear. I always use food for teaching the indication and add the toy much later after many, many repetitions of the ideal indication are strongly conditioned. Starting with or moving to prey reward too soon can compound this problem. Moving to a lower value reward item can be really, really helpful. Some dogs are very physical and have a very natural physical response to objects whether biting, chewing, scratching or pushing objects. This is of course not an ideal behavior for a passive response but the energy behind it can be useful for vigilant searching and durability to source later. The very movement of objects can provide self-reward to the dog and a venting of drive and frustration. The timing of the mark is not precise enough. Some people still prefer to use a verbal marker over a clicker. A verbal marker can carry a tremendous amount of emotion with it depending on how it's conditioned and this can stimulate the dog. A verbal marker isn't as precise either, it's like doing surgery with a putty knife. I prefer the scalpel like precision of the clicker. Training the indication requires precise feeback, not emotion. As the handler institutes a "search cue", emotion can be adjusted to stimulate searching or calm the dog. Waiting for calm, intense, contained emotion and energy prior to releasing to search is ideal. It's possible to resolve the issue in a number of ways depending on how far you are with your indication. It's generally resolved using a combination of modifications. Anchor the box so that the dog can't move it. This may provide you with enough repetitions to solve a pushing problem. Placing a brick inside cardboard or plastic tubs can help tremendously. Return to the shaping phase and flood calm indications with your hand outside the box, only returning when the dog maintains his indication can be helpful. Wait the dog out. As with distractions, if you feel the dog has a clear understanding of the indication, waiting for the dog to return to a calm indication and marking may be enough to isolate a desired behavior. The dog must learn to be "still" and avoiding the problem may be the problem. Adjust your intervals of variable reinforcement. Some dogs become more still and intense when they are asked to hold the indication momentarily. Introduce an incompatible behavior now. I teach a sit and down with the stare (nose at point of odor) which is useful. This forces a pair of behaviors which requires focus from the dog, particularly when adding variables. It also helps gauge the dog's mood and forces it to control it's body. Add the down at the box in combination with solution 2 above. If you're following along with the DVD, doing repetitions of down in a session immediately prior to working the indication will help settle the dog. Consider the dog's mood before the session. Perhaps the dog is too hungry, could use some exercise or is more calm during a certain time of the day. We hope this helps clarify some of the causes and solutions. It's a pretty pervasive problem, but if dealt with quickly, generally fixable. As always best of luck with your dog and training! A heavy package arrived in the mail today! Training Through Pictures with Dave Kroyer- Nose Work 1- The Indication has won it's THIRD International Award. More importantly, it's full of detail and clear instructional content for training detector dogs. Any dog, any breed, any age, any substance. This title is ideal for sport detection dogs in Nose Work and professional applications like police K9 (narcotics and explosives), border patrol and specialized detection like medical alert and biologicals. It's tough to top the 7X International Award Winning prerequisite title, Training Through Pictures with Dave Kroyer- Learning to Learn. This new title is incredibly popular! We're pleased with our third International Award, a 2015 21st Annual Communicator Award of Excellence! We've received tremendous feedback via email and social media. Despite the difficulty in advertising the video anywhere but online, we've had international orders from Canada, Italy, Indonesia, Greece, Hong Kong, England, Spain, Japan, Germany, Mexico, South Africa, Australia, New Zealand, Slovenia, Belgium, Finland, Chile, Panama, Ireland, Czech Republic, S. Africa and beyond. More importantly, our customers are telling us how incredibly their dogs are performing and how quickly they are learning. They're also talking about it with friends and training enthusiasts the world over! As always, we truly appreciate your business and revel in your success! Your success through our products is our success. The Communicator Awards is sanctioned and judged by the Academy of Interactive & Visual Arts, an invitation-only group consisting of top-tier professionals from acclaimed media, communications, advertising, creative and marketing firms. AIVA members include executives from organizations such as Airtype Studio, Big Spaceship, Conde Nast, Coach, Disney, The Ellen Degeneres Show, Estee Lauder, Fry Hammond Barr, Lockheed Martin, MTV Networks, Pitney Bowes, rabble+rouser, Sotheby's Institute of Art, Time, Inc, Victoria's Secret, Wired, and Yahoo! To learn more about the AIVA please visit www.aiva.org. ”The Communicator Awards honors work that transcends innovation and craft - work that made a lasting impact. The Award of Excellence, the highest honor, is given to those entrants whose ability to communicate positions them as the best in the field.” You can learn more about the Communicator Awards here. To learn more about our 43 International Production Awards, please visit our awards page. 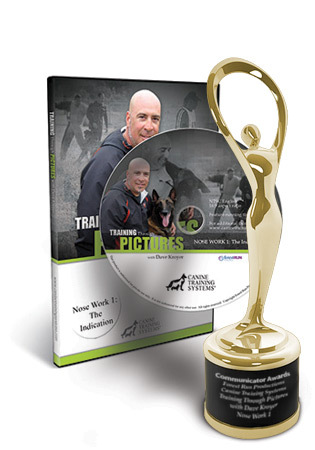 Training Through Pictures with Dave Kroyer- Nose Work 1- The Indication has won an AVA Digital Awards Gold Award! The mail has been full of good news lately. Training Through Pictures with Dave Kroyer- Nose Work 1- The Indication has won another International Award. More importantly, it's full of detail and clear instructional content for training detector dogs. Any dog, any breed, any age, any substance. This title bridges the gap between sport detection dogs in Nose Work and professional applications like police K9 (narcotics and explosives), border patrol and specialized detection like medical alert and biologicals. It's tough to top the 7X International Award Winning prerequisite title, Training Through Pictures with Dave Kroyer- Learning to Learn. This new title is incredibly popular! We're pleased with the result, a 2015 AVA Digital Awards Gold Award! We're really happy with the title and so are our customers, we've had international orders from Italy, Greece, England, Spain, Japan, Germany, Mexico, South Africa, Australia, New Zealand, Slovenia, Belgium, Finland, Chile, Panama, Ireland and beyond. As always, we truly appreciate your business and hope you enjoy the final product! Thanks for all the feedback, your success through our products is our success. The Ava Awards recognizes outstanding work by creative professionals involved in the concept, writing, direction, shooting, and editing of audio-visual materials and programs. Entrants include video and film production companies, web developers, advertising agencies, PR firms, corporate and government communications departments, producers, directors, editors and shooters. Judges are industry professionals who look for companies and individuals whose talent exceeds a high standard of excellence and whose work serves as a benchmark for the industry. There were 2500 entries from throughout the United States and 17 other countries in the 2015 AVA Digital Awards Competition. AVA's Digital Platinum Award is presented to those entries judged to be among the most outstanding submissions in the competition. Platinum Winners are recognized for their excellence in terms of quality, creativity and resourcefulness. About 15 percent won this award. The Gold Award is presented to those judged to exceed the high standards of the industry norm. Approximately 18 percent were Gold Winners and 8 percent received Honorable Mention recognition. You can learn more about the AVA Digital Awards here. Training Through Pictures with Dave Kroyer- Learning to Learn has won an AVA Digital Awards Platinum Award! 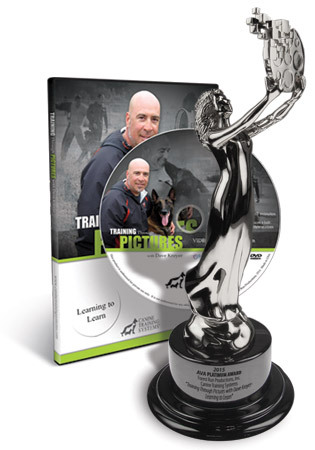 Training Through Pictures with Dave Kroyer- Learning to Learn has won a 2015 AVA Digital Awards Platinum Award! It's a beautiful production, many of you have told us too. We're proud of it and as more titles near release, it's good news for us to receive word of it's 7th production award. The highest award they offer! "The Ava Awards recognizes outstanding work by creative professionals involved in the concept, writing, direction, shooting, and editing of audio-visual materials and programs. Entrants include video and film production companies, web developers, advertising agencies, PR firms, corporate and government communications departments, producers, directors, editors and shooters. Judges are industry professionals who look for companies and individuals whose talent exceeds a high standard of excellence and whose work serves as a benchmark for the industry. There were 2500 entries from throughout the United States and 17 other countries in the 2015 AVA Digital Awards Competition." That’s 7 Awards which nearly matches the 8 won by Training Substance Detector Dogs with Randy Hare- Detection 1. New titles are coming! As always, we appreciate your business and thanks for your feedback. To learn more about the AVA Digital Awards, visit http://www.avaawards.com. Why did my passive indication go active? Q: "How do you stop a dog from bothering the hide? My dog paws and bites at the hide and I'm unsure how to get him to stop." A: "Put the hide where the dog can't access it." That's a solution for sure but almost certainly not the training information being looked for. This blog post is to address the lack of information and help anyone with that question actually solve the problem. Honestly, it's a great training question and deserves some investigation, mainly because it's a major problem in detection work where passive indication is desired. Many methods of teaching passive indication encourage this problem where it could have been avoided altogether if training proceeded differently. There are a range of questions that have to be asked to begin to answer the question that include the ones below. What does your normal indication look like? How do you communicate that to your dog? What reward type and delivery method do you use once it's been communicated? Did the behavior just start? That's just a start. There are a number of things that can cause a variation or breakdown in any kind of behavior. Lack of true understanding, lack of repetition of correct behaviors, incorrect proofing, inappropriate distractions, stress, change in reward type/drive level, conflict over reward presentation. The list goes on. The first question to ask is how did the dog learn the indication initially. Often times in classes, dogs learn to search for food or toy objects prior to learning about a clean indication at odor source. The dog's relationship with food and toys becomes it's initial relationship with the training boxes. When active behaviors are inadvertantly allowed through exploration of boxes, they must be neutralized but the dog's relationship with these items away from training directly impacts scent work. The dog will always revert to it's foundation when it's unsure and will even offer these behaviors when they've been successful elsewhere. These are considerations when structuring training sessions. More often than not, the answer comes back to a solid understanding of the indication. Allowing the dog to offer a range of behaviors and be rewarded for only correct ones does a few things. First, it allows for precision in clarifying exactly what earns reward. The repetition of ideal behaviors creates a habit and muscle memory of what should 'reflexively' occur when odor source is encountered. The creation of this behavior in isolation of all else cements the indication against variables when discrimination learning takes place. When any number of variables are encountered, the dog is equipped with the answer already. We can allow him to experiment and learn clearly WHAT DOESN'T earn reward. This is incredibly powerful. Second, and directly related to the previous point, through teaching the dog to ignore variables surrounding JUST THE INDICATION, we create an awareness in the dog that only one thing will earn reward. The dog becomes actively resistant to variables he encounters. He will very quickly accept that they hold no value and return to learned responses. This principle is called "Associative Blocking" and is a powerful concept that is useful when training against "Concomitant Odors". This very understanding helps avoid the extraneous behaviors often at the root of the pawing and biting problem, "displacement behaviors". These are behaviors that are byproducts of stress, drive or lack of clarity that interfere with clean behavior performance. Through isolating the indication first and adding variables later, any failure to indicate ideally can be addressed where it's encountered. Because it's separate of the search, new locations and a range of other variables, training can proceed at a brisk pace until the problem is encountered and then dealt with directly. For help with the indication and training progression please view, Training Through Pictures with Dave Kroyer- Nose Work 1- The Indication. Teaching the indication in isolation to near perfection prior to search training eliminates a tremendous number of issues many trainers encounter. The award-winning title is 88 minutes in Hi-Definition and a short trailer can be seen below.